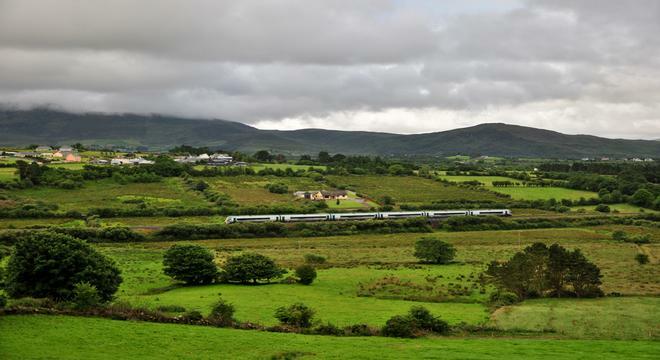 Discover Cork, Kerry, Galway, Dublin and Belfast on this 12 night rail tour of Ireland. Experience such places as Cork City with its remarkably preserved Georgian Buildings, the Ring of Kerry and the Dingle Peninsula and Galway before travelling by rail to Belfast in Northern Ireland. Here experience the Titanic Belfast and much much more! The best of Ireland by Rail 12 night tour is best accessed by Dublin airport. On arrival in Dublin Airport, travel into the city and take a train from Dublin to Cork City. Cork City’s narrowed tapered streets and Georgian architecture give the city a continental feel. The city has fantastic shopping, sightseeing and entertainment opportunities and on this tour we will use it as a base to discover the seaside town of Cobh, the last port of call for millions of Irish emigrants and Blarney where the world famous Blarney Castle is located. From Cork travel west to the Kingdom County of Kerry! Here discover the amazing Ring of Kerry as well as the unspoiled Dingle Peninsula. After Killarney travel Galway where you will have ample time to explore this festival capital and see the city’s sites. A day trip to Inis Mór in the Aran Islands has been included for you, and you will have plenty of time to explore the festival city of Galway. After a one night stopover in Dublin, travel directly to Belfast by rail. In Belfast we recommend a visit to Titanic Belfast, the city’s newest and most popular museum and the Belfast murals which have become world recognised symbols of religious and political divisions. Finally, enjoy a 2 night stay in our capital city, Dublin. Here with your city sightseeing ticket you can see such places as Trinity College and the Book of Kells, The Guinness Storehouse and Christchurch Cathedral but to name a few places. After arriving at Dublin Airport, travel by train to the City of Cork. The city has a great number of places to visit including the well renowned Cork City Gaol, The Church of Saint Anne Shandon and St Fin Barre’s Cathedral. First stop on your list of places worth visiting may be the English Market, a covered fruit and vegetable market established in the 1600s and a famous Cork meeting point. From here you can easily explore the city centre on foot perhaps making your way to Paul Street which is noted for its ethnic restaurants, chic bars, trendy bookshops and boutiques. Travel to Blarney where you will have plenty of time to explore the Castle grounds at your own pace. A must-see is the Rock Close area and Poison Garden where the world’s most poisonous plants are kept in large cages. 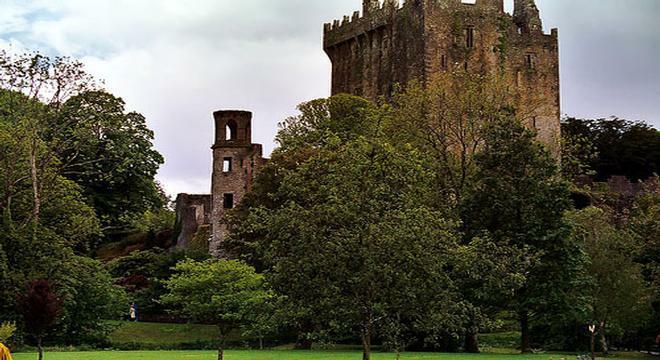 After, climb the ramparts of Blarney Castle to kiss the Blarney Stone where legend says you will be awarded with the ‘gift of the gab’ which is the skill of great wonder and eloquence! After Blarney hop on the coach again and travel onward to Cobh. Cobh town is famous for having been the last port of call for millions of Irish emigrants escaping their harsh lives here in Ireland and also for being the last port of call for the Titanic. Two excellent museums explore these events in detail; the Cobh Heritage Centre & the Titanic Experience. Saint Coleman’s Cathedral is also well worth a visit. After free time in Cobh, your coach will return you back to Cork city where the remainder of the day is at your leisure. 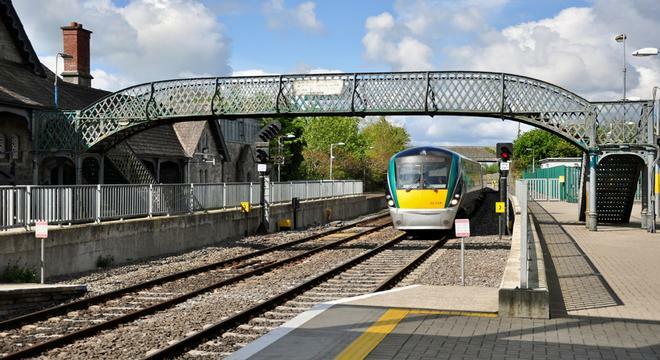 Begin the next stage on your Irish rail tour with a train journey from Cork to Killarney in county Kerry. For your first day in Kerry we recommend that you take in Killarney town and the surrounding attractions. You may decide to visit Muckross House and Gardens on the outskirts of Killnarney town or take a tour around Killarney national park by horse and carriage. One of the main attractions in Killarney town is the town itself with its colourful shops, cute cafes and ample fine restaurants. There is always plenty of traditional Irish music on offer in Killarney town in its many old style pubs! Today we have pre-booked a Ring of Kerry bus tour for you. On your tour discover landscapes of magnificent beauty alongside the backdrop of the grand MacGillycuddy Reeks mountain range, rivers and stunning rolling countryside. Along the way, you will encounter larger bustling towns to the more traditional quaint Irish villages. Visit such places as the popular Glenbeigh which holds the famous Kerry Bog Village, a cluster of reconstructed cottages dating back to the 1800’s, Cahersiveen, the principal town of the peninsula and Sneem with its brightly colorful painted buildings and quaint village green. Return to Killarney via Ladies View, a famous stopping point to view the three Lakes of Killarney in all of their splendour. This morning hop on the coach to do a comprehensive day tour of the Dingle Peninsula which offers some of Ireland’s best scenery and stunning views. The Dingle Peninsula or the Corca Dhuibhne as it is named in our native tongue is believed to have more than 2000 ancient monuments, the locals here speak fluent Irish and the town is well known for its fantastic traditional music and dance culture. On your travels you will discover Dingle Town with its brightly coloured shops and Slea head, is known to be the most westerly point in Europe and has astonishingly beautiful view especially of the nearby Blasket Islands. Your tour also takes in the countryside where David Lean filmed ‘Ryan’s Daughter’ and scenes for the film ‘Far and Away’. Set off early this morning and take a scenic train journey from Killarney to Galway. Galway is the principle city of the West of Ireland and a lively University City. In fact, Galway is often referred to as Ireland’s Festival and cultural capital due to the frequent festivals that the city holds. Due to its compact size, the city can be explored easily and you will find many bars to quench your thirst as well as many great restaurants with an excellent food offering. We recommend that you also take a stroll down Shop Street where on any given day you are sure to find a variety of buskers and other street performers. Shop Street contains Galway's best preserved ancient buildings, Lynch's Castle and numerous old brick buildings, bright storefronts and a selection of excellent shops. 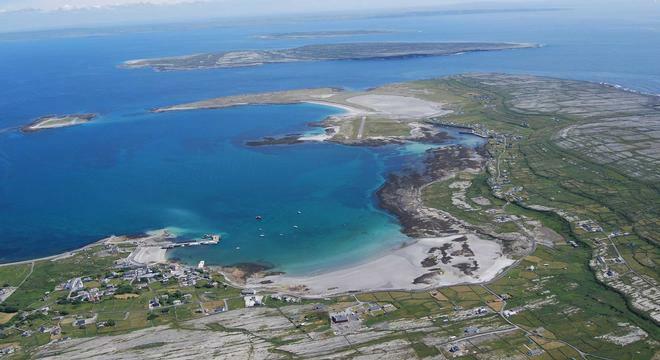 Depart early this morning for your journey to Inis Mór, the largest of the three the Aran Islands. Protected from outside influence due to their remote location, the Aran Islands display the old traditional Ireland that the rest of the country has largely left behind. Learn about the tradtitional Aran Jumper and traditional crafts such Basket Weaving. On Inis Mór, you will still find the horse and trap and hear the Gaelic language spoken as the first language. There are more than 50 different monuments of pre-Christian importance to be found on the islands, the most popular being the fort of Dun Aonghasa which stands against the cliff edge over the western part of the Aran Island. After a long day to explore the island at your leisure take the return ferry back to Rossaveal and the return shuttle back to Galway City. This morning check out of your hotel and travel back by rail back to Dublin City, arriving in time to take in some of its most famous visitor attractions. If the weather is nice you could decide to take in a walk in Dublin’s famous and popular ‘Stephen’s Green’ or check out the shops and cafes on Grafton Street, stopping like many people do to take a picture with Molly Malone, one of Dublin’s most famous statues. You may feel like learning more about Ireland’s political history by taking a trip to Leinster House where the current parliament sits or Dublin Castle which was once the seat of English rule from the 13th Century. Dublin Castle also houses the Chester Beatty Library which also displays manuscripts, prints, miniature paintings and early printed books from countries across Asia, the Middle East, North Africa and Europe. The Chapel Royal with its fine plaster decoration and carved oaks and galleries can also be visited at Dublin Castle. This evening, take another opportunity to check out Dublin’s traditional music and pub scene. The Cobblestone and the Auld Dubliner are famous establishments and many of our past customers have enjoyed a drink or two in Kehoe’s Bar, one of last great heritage pubs of Dublin, this pub retains much of its Victorian trappings leaving the visitor feeling like they have stepped back in time! Travel from Dublin’s Connolly Station to Belfast by train & on arrival begin your Belfast City sightseeing trip. Today, the remnants of Belfast’s troubled past history make it an interesting destination for tourists from all over the world. First stop on your tour of Belfast might be Titanic Belfast, which is built on the site where the Titanic was originally constructed; galleries reconstruct scenes from Belfast at the time of its construction, the launch, the maiden voyage, the sinking and the aftermath of its voyage. The Belfast Murals is another must see in Belfast, these have become famous symbols of Northern Ireland, depicting the religious and political divisions. The Crumlin Road Gaol is also well worth a visit, dating back to 1845 and closed in 1996. Tours of the prison tell the fascinating history of the site and the underground tunnel that connect the Gaol to the Crumlin Road Courthouse is an interesting feature. Tonight get out and about and discover Belfast’s pub scene, of great interest to many is the Crown Liquor Saloon, one of the most famous Victorian gin palaces which flourished in industrial cities, the saloon dates back to 1826, and its furnishings and fittings are authentic and fascinating. After travelling by train from Belfast to Dublin, use your Dublin sightseeing tickets to travel around Dublin city. The Dublin sightseeing ticket lasts for two days and includes stops close to all of Dublin’s main and popular attractions including The National Museums, Trinity College and The Book of Kells, St Patrick’s Cathedral and Christchurch Cathedral. On one night of your time in Dublin, we would certainly recommend that you visit Dublin’s busy Temple Bar to check out its popular and famous traditional Irish music and vibrant nightlife!